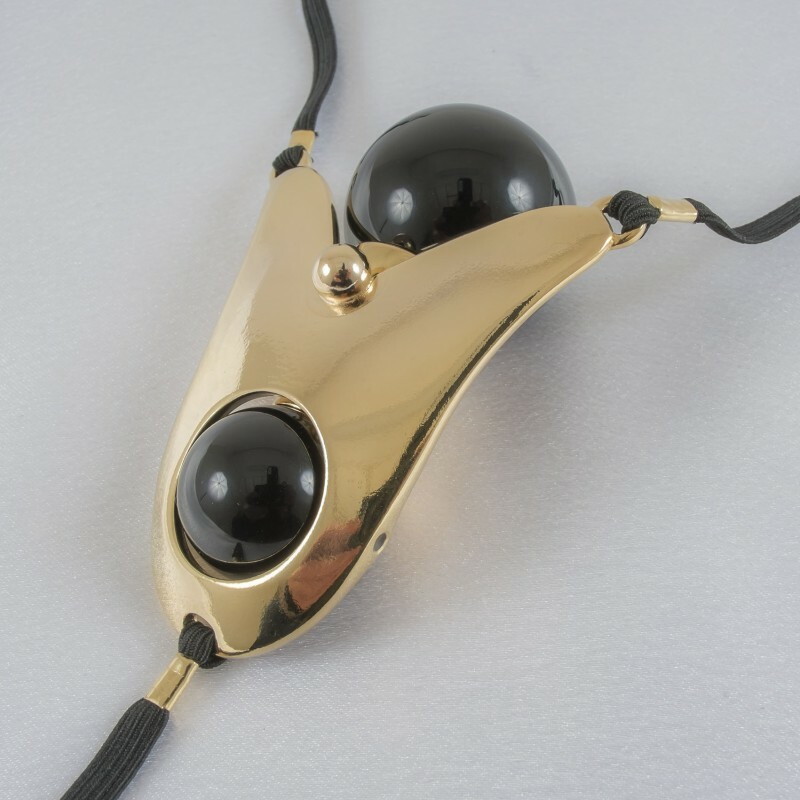 This Women's insertable hygienic acrylic orb is as exquisite as it is unique and comfortable. 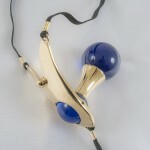 The cast and heavy gold plated (10 microns) frame is perfectly constructed to fit a woman's body. The base has a pivoting acrylic orb facing outward surrounded by a bold V-shaped design. Inward, the base is connected via a short shaft to a beautiful sleek orb. The orb is made of hygienic grade acrylic. Perfect under your favorite outfit, or without anything at all. Connected to a comfortable thong type elastic waistband, this piece is suitable for all-day wear. Let it be your special secret! 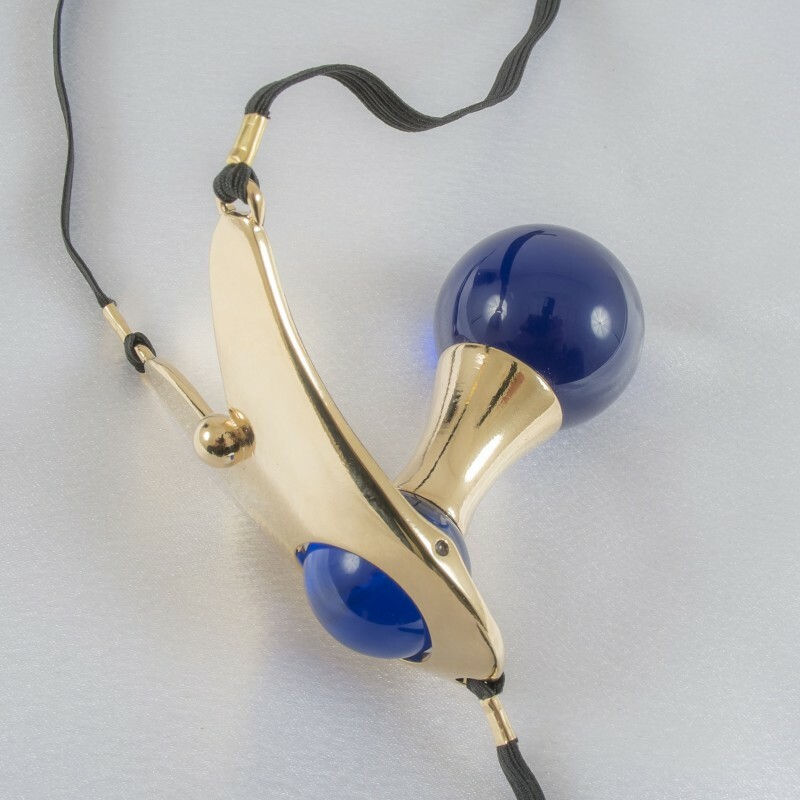 Wear the Intimate Ecstacy penetrating Orb g-string out to dinner, in the movie theater, at work, to the party, or around the house. No one will know your little secret except you and your partner! 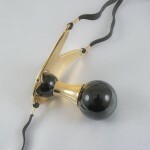 This stimulating Intimate Ecstacy penetrating G-String is a unique work of fine art, crafted by renowned Parisian artist, Sylvie Monthule handmade in France, with highest quality materials.